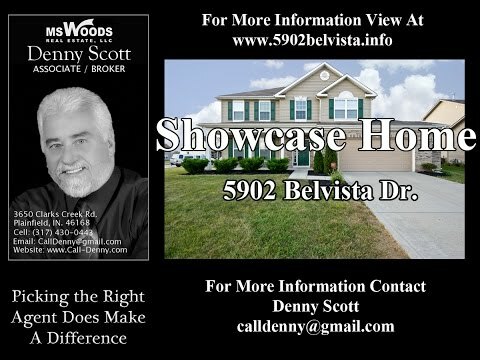 If you are looking to purchase or sell a home in Plainfield, Avon, Danville, Brownsburg, Camby, Mooresville or some where in Hendricks and Morgan County area please feel free to contact me and I'll try to help in every way I can. I offer years of experience in helping home buyers and sellers accomplish their goals. Remember picking the right agent does make a difference. This home featuring a open floor plan with a living room dining room combo, family room, eat-in kitchen, 4 bedrooms, 2 1/2 baths, MBR has a large walk in closet with 6 panel doors and tray ceiling, over sized garage,42” custom cabinets and center island. With 2,426 SQ FT of living area on a premium lot. The community features a pool, playground areas close to walking /bike trails that lead to the Aquatic Center and much more. This is a must see home. West on US40 to Moon Rd. Turn south (left) to Belvista Dr. Turn west (right) to sign in the front yard on the right. Exterior/Lot Features: Located on corner lot.